Get ready fellow math geeks, “Pi Day” is almost here! The day to celebrate the wonderfully simple and yet, at the same time complex, number pi. And of course, a fantastic excuse to PARTY! 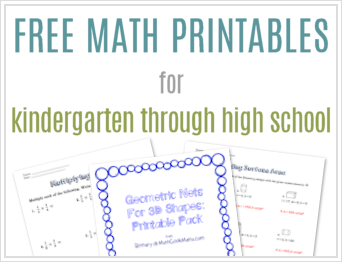 🙂 I’m so excited to help you prepare, and want to share a fun resource that can be used with kids of all ages! 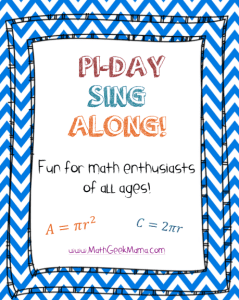 This Pi Day Sing Along has been recently updated, and now includes two pages of goofy math songs! What is Pi Day, you ask? Well the number pi is a constant which represents the ratio between the circumference and diameter of a circle. The value of this number is often rounded to 3.14. Therefore, each year Pi Day is celebrated on March 14th (3.14) by learning about circles and ratios and measurement, as well as irrational numbers such as the number pi. 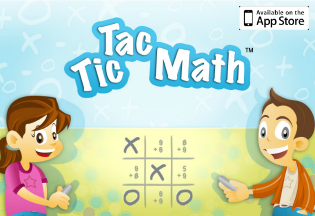 Looking for ways to learn and explore with your kids? I have created a fun and free math lesson for understanding the number pi which is great for middle or high school students. Reading the book Sir Cumference and the Dragon of Pi is another great way to introduce kids to this fun number! 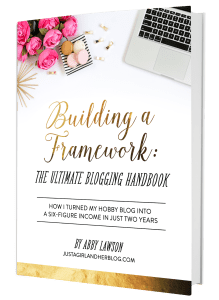 (Plus, get free lessons to use with the book when you subscribe to my email newsletter). Want even more ideas? Check out my “Pi Day Goodness” page with dozens of links to ideas, games and free resources to explore this super cool number! 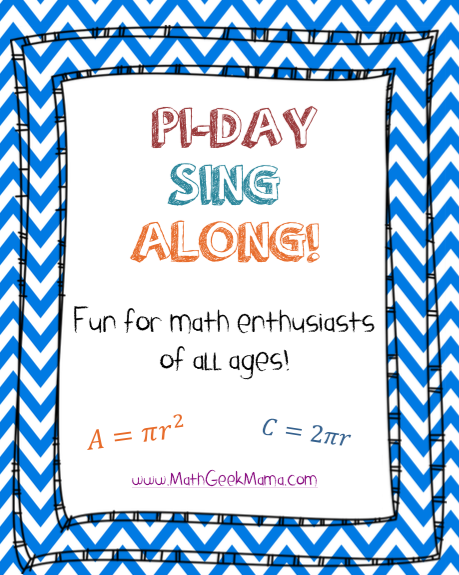 And of course, it’s always fun to sing of the wonders of the number pi and the fun of pi day, so here is a Pi Day Sing Along sheet to help you get in the spirit of the day! 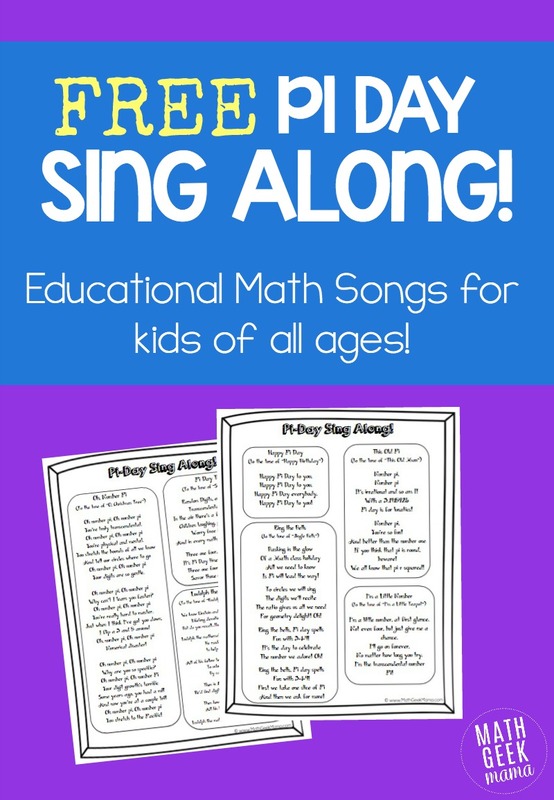 This download includes 2 pages of black and white song lyrics to the tunes of familiar songs such as “Jingle Bells,” “Happy Birthday” and more! So start counting down and get excited! Pi Day will be here before you know it!